Over 40 shooting attacks on the antiterrorist operation (ATO) troops are registered. The situation in the ATO area in Donbas remains tense with pro-Russian militants further violating a cease-fire by shooting at the ATO positions, 45 times today, the ATO press centre has said on Facebook. They fired small arms on a Ukrainian strongpoint near Shyrokyne in the morning and grenade launchers during the day. They were shooting from Kominternove in the direction of the ATO positions in Hnutove and Talakivka with 82- and 120-mm mortars. Near Donetsk, they used grenade launchers, heavy machine guns and small arms against Ukrainian servicemen in Pisky. 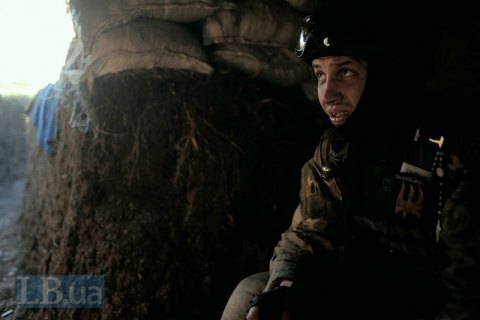 Ukrainian positions in Avdiyivka, Opytne and the Butivka mine were mortared. In the Horlivka area, the militants fired machine guns and small arms on Novhorodske and Mayorsk and mortars on Zaytseve. According to information available to the ATO HQ, the militants were instructed by the Kremlin to step up combat efforts along the entire line of contact ahead of the 13 February Normandy Four meeting.